A musician from childhood, Haywood moved to Los Angeles in the 1960s, where he worked with the great Sam Cooke as a keyboardist. When Cooke died, Haywood recorded his first charted single, 1965’s "She's with Her Other Love." Two years later, he scored bigger with "It's Got to Be Mellow." While staying busy as a singer and musician, Haywood was having trouble achieving the level of stardom that his talent warranted until the mid-70s, when he helped usher in the disco movement with a decidedly funkier edge to his music. From 1975 to 1980 he was a consistent hitmaker with top 20 hits like “Strokin’,” “Don’t Push It Don’t Force It”, and his biggest song, "I Want'a Do Something Freaky to You." Even after his hitmaking days as an artist faded, Haywood continued his work as a songwriter and producer, first in R&B (Carl Carlton’s 1981 hit "She's a Bad Mama Jama") and later in the blues arena. Ironically, at the same time, his 70s music was being regularly sampled by major hip-hop artists such as Dr. Dre. 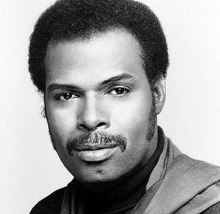 While some may best remember Leon Haywood for his hit singles as an artist, his contribution went beyond those individual songs, to an important role in transitioning music forward during one of its most creative periods, a transition that is still felt today. Thanks to SoulTracker Colton for letting us know.